This entry was posted in Uncategorized on October 26, 2018 by Ms Byrne. 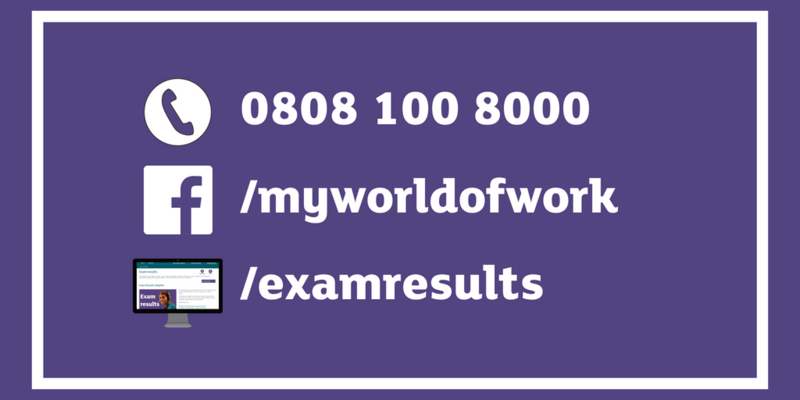 Skills Development Scotland’s free exam results helpline is available from results day until August 15 and is open to all young people and their families seeking careers advice. This entry was posted in Uncategorized on August 7, 2018 by Ms Byrne. This entry was posted in Uncategorized on May 8, 2018 by Ms Byrne. To apply you’ll need at least four Scottish Standard 1-3/National 5. These must include English, Maths and Science or Engineering. We’re happy for you to apply while you’re still sitting your exams as long as you’ll have your results before the start of the scheme. There are also some medical and physical fitness requirements to ensure safety on the track. You will need to be available to start on 29 September 2018. All leave and holidays is scheduled by Network Rail. 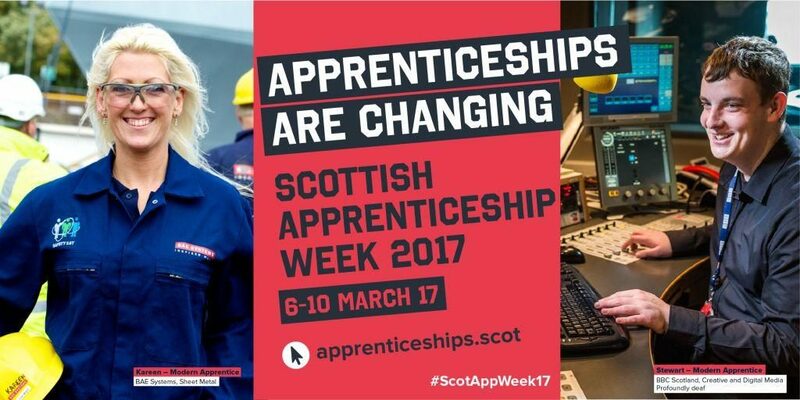 We will be unable to accommodate any holidays or leave outside of the scheduled dates within the first 21 weeks of your apprenticeship. This entry was posted in Uncategorized on December 12, 2017 by Ms Byrne. 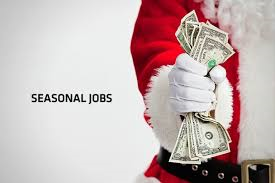 If you are looking for a part-time job for evenings or weekends then check out the information on My World of Work to find out which employers are recruiting for Christmas staff. This entry was posted in Uncategorized on November 6, 2017 by Ms Byrne. 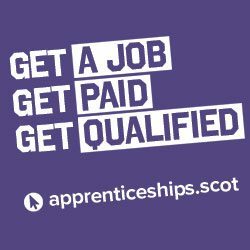 Find out what’s going on in your area by checking the apprenticeships.scot website. This entry was posted in Uncategorized on March 6, 2017 by Ms Byrne. As a parent/guardian of a pupil who is about to make the first important career decision around subject choice, you may have many questions and be unsure about how you can help your child make the right choices for now. This isn’t always easy, but it is important! Research has shown that your role as No1 influencer on your child’s future career choices means that it is vital that you have answers to the questions you might have about the opportunities that are open to your child in their future. 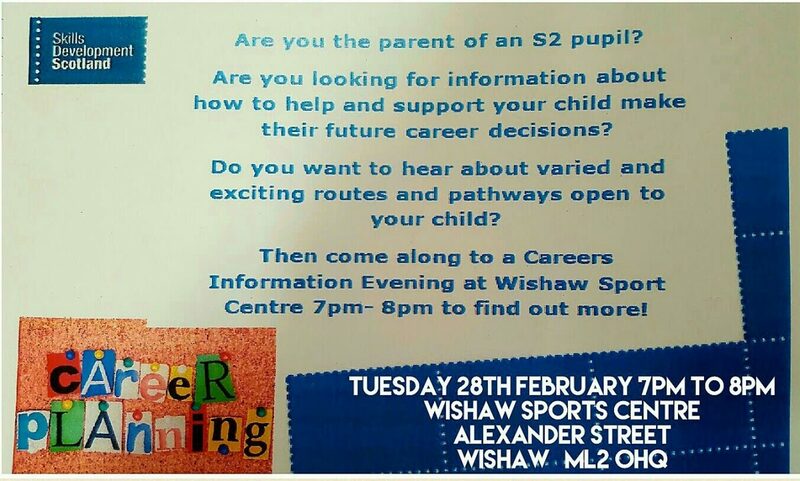 Working in partnership with your school, Skills Development Scotland would like to invite you along to an information evening about careers options and the many choices that your child has. On the night you will have the chance to hear from Careers Advisers on the support and opportunities that are available to your child and hear about the resources that Skills Development Scotland has to help you support them. This entry was posted in Uncategorized on February 16, 2017 by Ms Byrne. 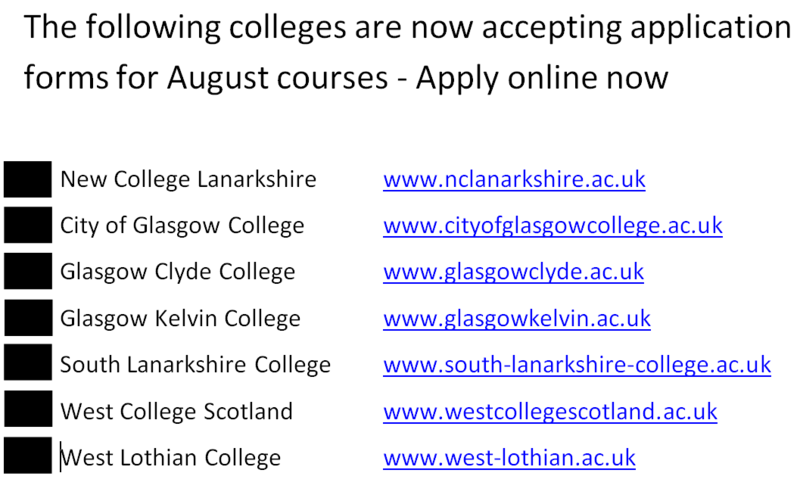 Colleges are now accepting application forms for August 2017 courses. 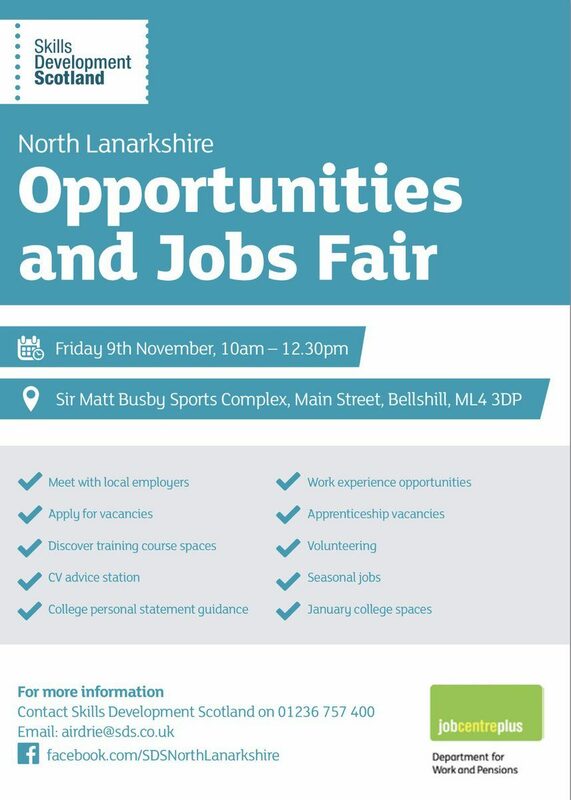 Make sure you don’t miss out on any opportunities and get your application complete as soon as possible. If you need help choosing courses speak to the school Careers Adviser. This entry was posted in Uncategorized on January 17, 2017 by Ms Byrne. This entry was posted in Uncategorized on October 12, 2016 by Ms Byrne.